Colville take home the winners trophy for the second year! 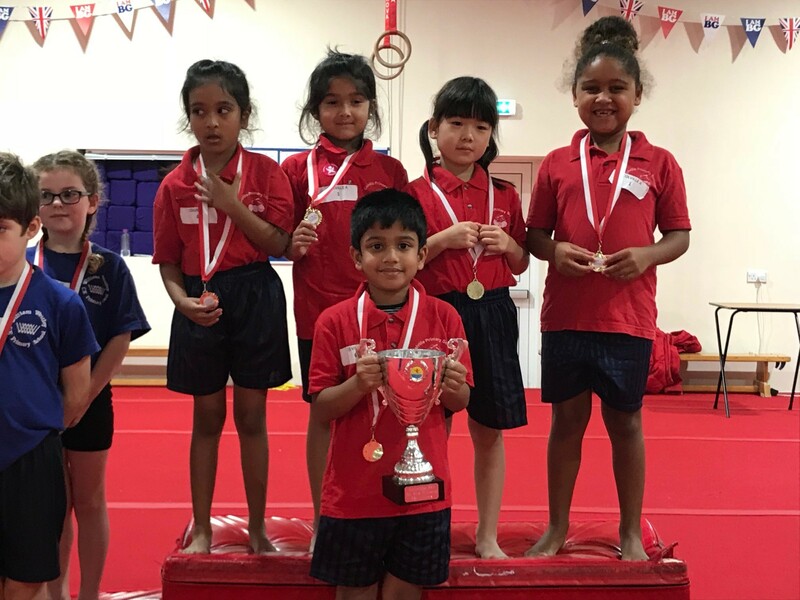 Colville Primary School’s A team took top spot in the Cambridge School Sports Partnership KS1 gymnastics competition retaining the winner’s trophy for a second year in a row. 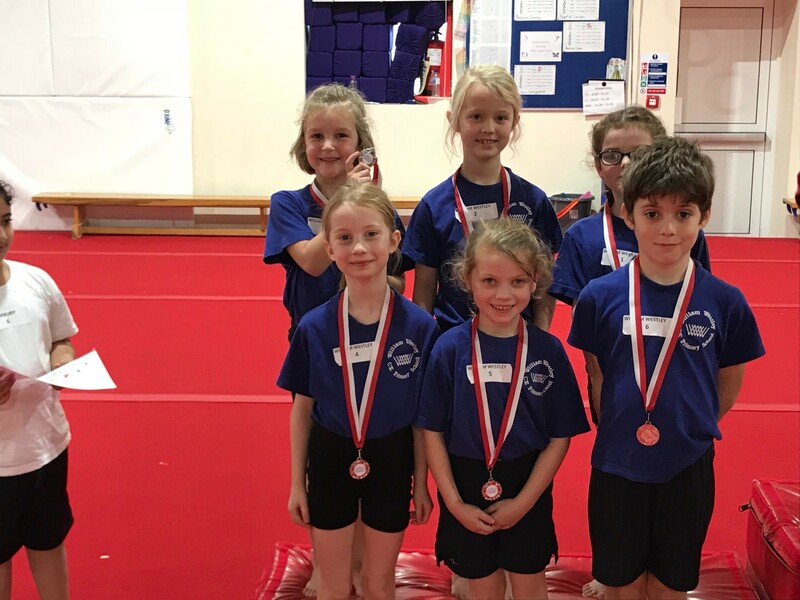 Primary schools from across the city took part in the competition, which was hosted at the Cambridge Gymnastics Academy. It was Colville that emerged victorious after winning 1st place medals. William Westley were 2nd, with Newnham Croft B team taking 3rd place, Colville B finished 4th, with Arbury, Newnham Croft A & Bewick Bridge in joint 5th, The Grove in 8th, St Philip’s in 9th, Orchard Park & St Matthew’s B were joint 10th, St Matthew’s A in 12th and Fen Ditton were 13th. The Spirit Of The Games award went to Arbury for their determination and passion throughout the competition. 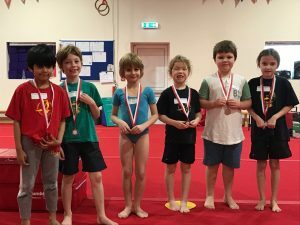 “The North Cambridge Academy Gymnasts opened the event with an entertaining show of skills. 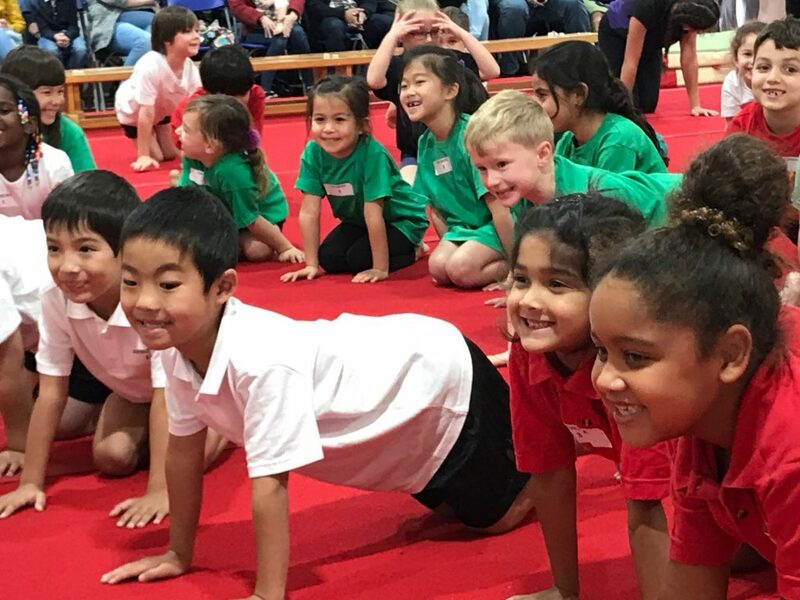 Their performance will inspire the younger gymnasts to keep performing long after the event today” said Lisa Woolfe, the Cambridge School Sports Partnership projects officer. “Both the facilities and the coaches were amazing. 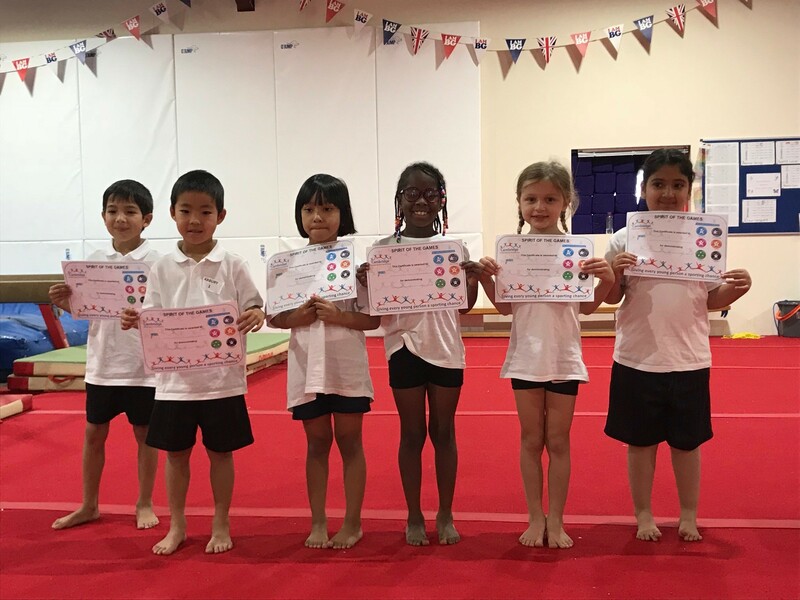 It is wonderful to give so many children the experience of using elite gymnastics equipment. 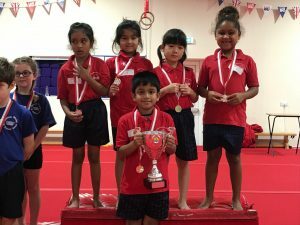 “The competition was a wonderful displays of KS1 gymnastics. Children enjoyed performing their floor routines and showed great control on the vault.